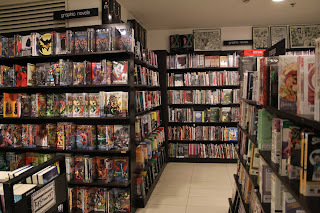 May 19 is Free Comic Book Day at Fully Booked, so those of you who missed it this past May 5 will have a chance to get some free stuff next Saturday, along with a 20% discount on any graphic novels you may buy. But May 19 is also a big day for Fully Booked High Street, the biggest provider of trade paperbacks and graphic novels. Currently, they have a basement full of the stuff. Remember this? 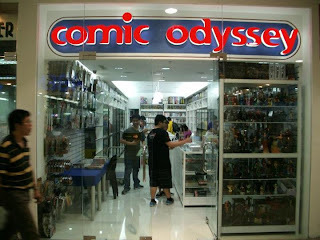 Now, remember Comic Odyssey, the country's number one provider of comic books and single issues and comics-related merchandise? Now imagine them both ... in the same place. That's right! Comic Odyssey will be opening up a branch in Fully Booked at Fort Bonifacio High Street, on the fourth floor. 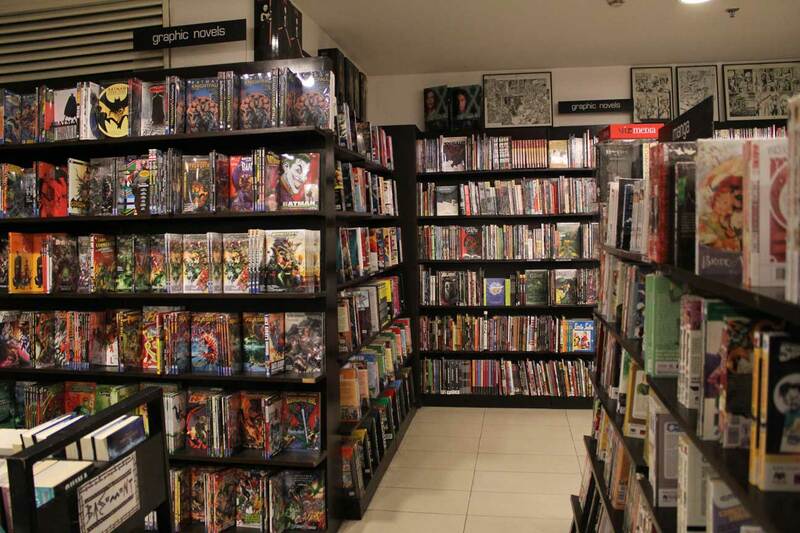 Fully Booked will also be moving all trade paperbacks and graphic novels to the fourth floor. "The adjacent space to Forum, we're going to make that into a room and it'll be for Comic Odyssey," says Jaime Daez, owner of Fully Booked. "We are basically entering into a partnership where I will provide all of the graphic novels, and (Sandy Sansolis, owner of Comic Odyssey) will provide all the comics and all of the other merchandise related to comics. 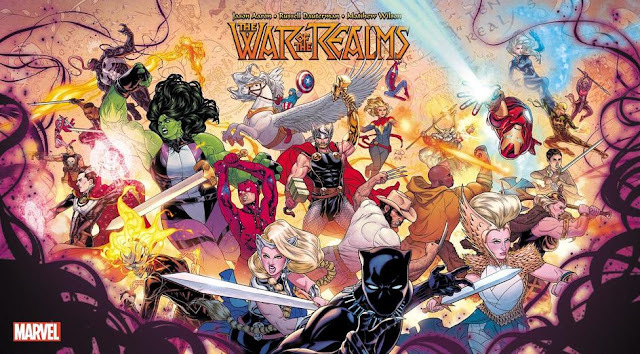 So this will be absolutely the most complete comic book experience one-stop shop." "I respect Sandy a lot," Jaime says. "Obviously, you can tell I love comics. He loves comics. I breathe comics, he breathe comics. And I just thought, you know what? I've always wanted to sell comic books, but it's just too difficult. You just have to bag and board and keep back issues and whatnot, and because of the kind of business I've set up, it's just too different from everything else. So why not partner with the guy who is the best in the country for comics, and he can partner with me, who has the most complete selection of graphic novels, and that way, you can just come here and do everything." "And if this works well," Jaime continues, "who knows? It may not be the last of its kind." Sandy thinks they will complement each other perfectly. "I get to tap a larger audience," he says. "This audience happens to be already interested in reading, so I think Fully Booked and Comic Odyssey are a perfect fit. Jaime has always featured comics in his shops by offering large selections of graphic novels, trade paperbacks, and manga. With me coming in, it will just give his selection a wider range to choose from with the singles and comics related merchandise." Comic Odyssey's opening in Fully Booked High Street is on May 19, the same time as Fully Booked's Free Comic Book Day! Sandy continues, "You'd probably never want to leave." He's probably right. I'll see you there on May 19, guys! Read Fully Booked's official press release here.